Two weeks ago, Asiana Flight 214 crashed while attempting to land at San Francisco International Airport. Now the first photos of the wreckage have emerged. It's amazing more people weren't killed in the crash. These pictures are crazy. As far as we know, Asiana 214 went down during landing when it hit the ground short of the runway and struck the seawall at SFO. 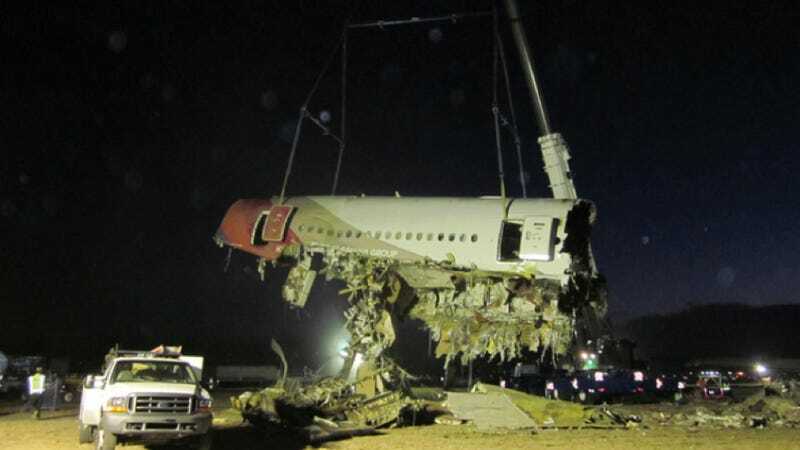 The engines and tail separated from the Boeing 777, resulting in the first ever fatal crash of the aircraft. The PDF of these pictures has started making the rounds on the internet. We're not exactly sure where they came from, but it looks like they may have come from NTSB investigators going through the plane as part of their investigation. No matter where they're from, it looks like they were lucky to have as many people survive the crash as they did. Nightmarish.